An ankle sprain is an extremely common injury making up almost half of sports injuries. With the New Year many of us set new health goals, sign up for marathons, triathlons, and more, which is wonderful, however ensuring strength and preventing injury is paramount to reaching these goals. 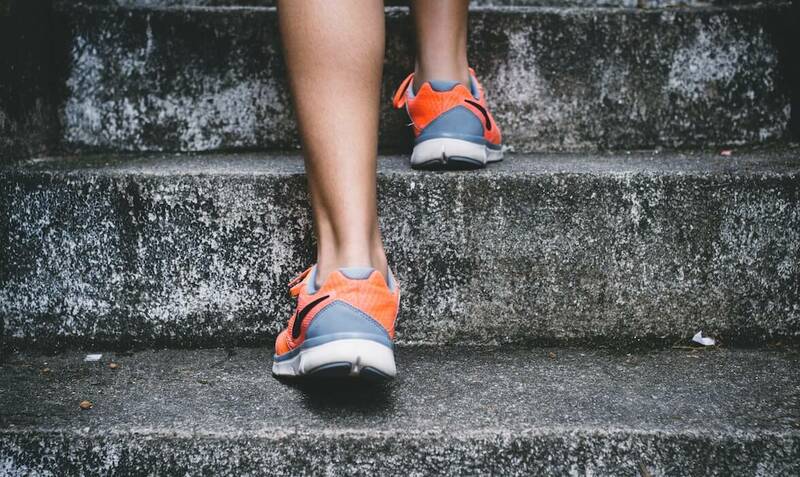 But it doesn’t necessarily stop at sports; this can happen while walking, especially in low light and on uneven surfaces, from someone stepping on your foot, when stepping off a curb - the list goes on and on. And since most of the important things we do in life are done standing, an ankle sprain can really set us back. A minor sprain can take 2 weeks to improve, and many of us just struggle through those 2 weeks and move on. But you shouldn’t stop there, especially for more severe sprains. In those cases, you should also see a physical therapist. An ankle sprain is actually a sprain of the ligaments and possibly tendons supporting your ankle joint, most commonly to the outside of your ankle. Our bodies repair sprains with scar tissue, but while scar tissue is strong, it often does not heal quite properly without safe stresses on those structures. And more importantly, the underlying cause of the sprain has not been identified or treated. This is why up to 73% of people who have sprained their ankle will do so again! Sure, there are extreme freak accidents leading to an ankle sprain. But stepping on uneven roads, missing a curb, running or cutting in your basketball game- your body should be able to make split second corrections in these situations to avoid injury. And once you do have an ankle sprain, even from a freak injury, it is likely that weakness will develop and re-injury will still become likely. While most ankle sprains can be managed with conservative treatment/physical therapy, some can be severe enough to result in immobilization and take months to fully heal. To determine your risk for ankle sprain and to reduce recurrence, your physical therapist will evaluate and focus on a special sense in your body called proprioception. Proprioceptive sensors in your joints tell your brain what is happening at your joints allowing for extremely quick corrections- this sense works even faster than your sense of vision when working properly. In fact, try it yourself! Stand on one leg. Is this a problem? If it is, we’ve already got an issue that needs addressing. Now stand on one leg and reach as far as you can forward, the back, left to right. Your trunk should also be moving and you should be stable. You can also try standing on one leg with your eyes closed. If either of these is troublesome, you are at risk for an ankle sprain. So see your physical therapist and get started on that injury prevention!